Listening to Andrew Bowman’s extraordinary keynote address at Rally 2018, I was struck by his opening salvo. To paraphrase, we face tremendous challenges, and we must address them head on and fearlessly! Advocacy, then, is an essential tool to realize our vision. If you do advocacy, you know why it is important. If you don't, please consider getting in the game. It is our right as members of our communities, our duty and responsibility as citizens and professionals, and our legacy, because beyond the lands we protect, what more could we leave behind than a strong social and political network to ensure they will be cared for by future generations? I was asked yesterday what is needed to advocate successfully and would like to share the five rules of I share with volunteers when I take them to our state Capitol. First, it is easier to get in the game than you may think. Really... getting started is as simple as showing up and speaking from your heart. Second, always remember to make no assumptions about the beliefs of decision-makers and any adversaries you may encounter along the way. Third, respect partnerships. It is people, not accumulated power that will be there for you when you need help most. Fourth, give deep consideration to your own personal code of ethics. It is what makes you credible, authentic and impactful. Now let me pause for a moment and be clear: These four rules are ones I wish I could have had in mind when meeting my in-laws for the first time! They do help in real life. In summary, if you’re headed out to lobby, or to propose, stay real and stay polite. It is what keeps relationships sustainable. 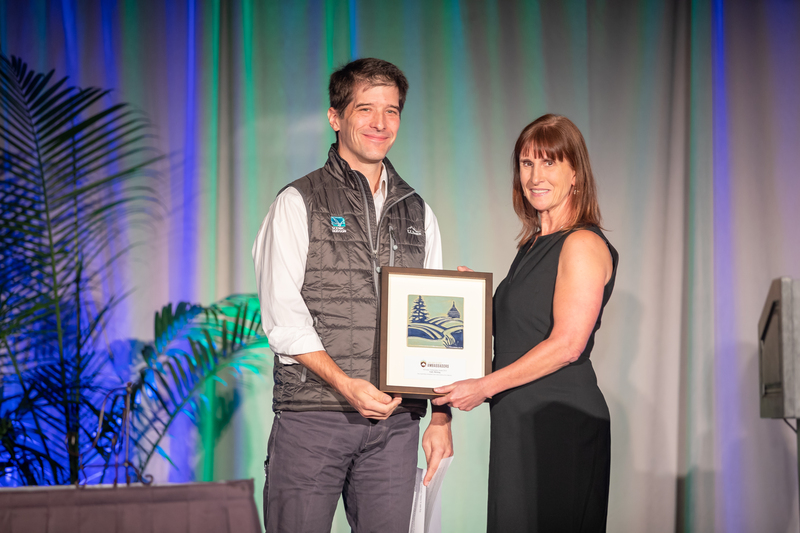 Andy Bicking, director of public policy at the accredited Scenic Hudson, won the Advocacy Ambassador of the Year award at Rally 2018.